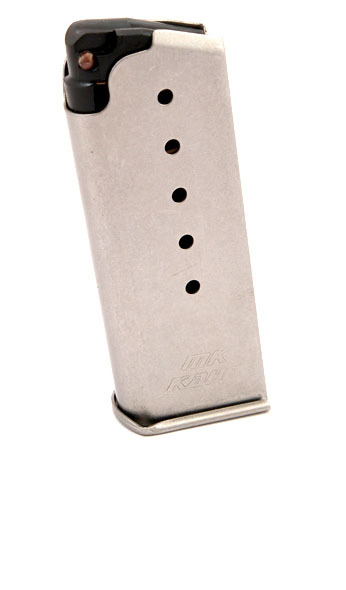 Stainless steel factory Kahr 9mm 6 round magazine. Fits flush to grip on the PM9, MK9 and P9 Covert. OEM magazines shipped within a day. Great service!